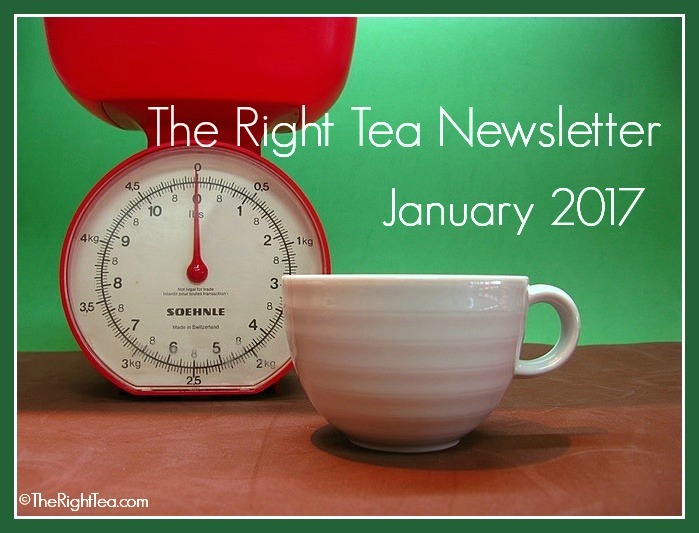 Welcome to the first issue of The Right Tea Newsletter of 2017! At the start of every year we make resolutions that are soon forgotten, so in this issue we have decided to help you get back on track with yours. Additionally check out the newest herbal teas now available on the website. 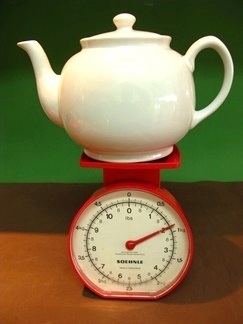 We have added balancing and healing teas that you may find useful in your everyday life. Red clover tea is best known for its hormone balancing benefits. Great for women going through menopause who need help with its troublesome symptoms. At the same time this is a cleansing tea, great for clearing your body of harmful toxins that cause infections and inflammations. Are you keeping up with your resolutions for 2017? Did you know that the most common resolution people make every year is to lose weight? By now, we have reached the middle of the month and most people have either forgotten or lost focus of their objective. Losing weight is hard and, most of the time, it isn’t any fun at all. A lot of times, losing weight is not about looking good, but of being healthy and leading a longer life. So don’t toss out your resolutions yet, come and let’s explore herbal teas that are helpful and make your life a lot easier. Why could herbal teas help you? Sticking to a diet is hard because you feel like you have fewer options to choose from. You get bored quickly with the limited diet you have forced on yourself. Trying new herbal teas is not only a way to promote a healthy lifestyle, but also with such a variety to choose from, you are bound to find a tea that is right for you. This year try as many teas as you can, play the expert and write down what you think of each tea. Then order the list from the tea you enjoy and help you the most all the way down to the worst. Since we all have different tastes and metabolic rates, it is likely that each list should be different. There is no one right answer. Looking at your resolutions you read “lose weight” and it is hard to know where to begin and you may quickly get discouraged. So let’s scratch it off your list and instead write your resolution in fun achievable goals. Here are a few ideas to get you started. Try at least one different herbal tea every month. Place on your calendar what tea you will be drinking regularly each month until December 2017. Learn about tea blends and make new healthy beverages to serve to your friends and family. Invite your friends over to try your new concoctions. Do you have a sweet tooth? 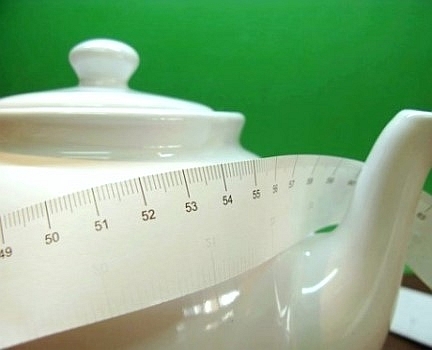 Reduce your sugar intake when drinking tea, and as you reduce the sugar make a mental note of how the flavor of the tea evolves. Let your inner tea-tasting expert emerge. Find health food stores next to your home and get as much information as possible on the herbal teas available there. Herbs may be used not only for making great teas, but also for seasoning food. Explore new ways of seasoning food that cut down on salt and heavy sauces. Widen your choices! Healthy food doesn’t have to be boring. Example: Have you ever cooked rice flavored with green tea? Check out the recipe here. Drink less alcohol, instead finish the day with a different tea and try to match each tea with your mood at the end of the day. Now it’s your turn to come up with interesting and achievable goals concerning exercise and a healthy diet. Make it interesting and losing weight will just be an added bonus. Finally let’s give you a few examples of herbal teas you can easily find in your kitchen to get you started: ginger, artichoke, dandelion, rosemary and sage. There are plenty more choices. Remember, even though we are already in the middle of January, you are still perfectly in time to begin enjoying your first herbal tea. Make it healthy and make it fun! Mullein tea is the perfect January tea. It is almost impossible not to get a cold during this time of the year. There is always that person who gets sick and spreads the germs around. You try your best, you bundle up, you keep away from sick people, you increase your intake of foods rich in vitamin C and wash your hands frequently, and still somehow you catch a nasty cold. Sneezing and congested, you need relief, you need to breathe. You need a cup of mullein tea. Keep on the lookout for the next issue of our newsletter coming in February when we are going to look at an incredibly rare tea. And don’t forget that it’s your chance to read all about new additions to our website and other features. Until then make sure to follow us on Facebook or Google+ for daily tips and other wonderful tea related items.